The Grampians is an iconic 1930's block with porter services and lift. The building is well managed so common areas are clean and well decorated. The flat itself is the sole penthouse apartment and offers fantastic lateral space in the urban art deco style. The flat has great light and breathtaking views across London on three sides. It also has direct access to a spacious terrace which in turn leads to the external fire escapes. Internally the flat has some nice features including original herringbone floors and a fireplace. The block is located near the corner of Shepherd's Bush Road and The Green so couldn't be more conveniently placed for the Central Line tube and Westfield which can be reached in a few minutes. 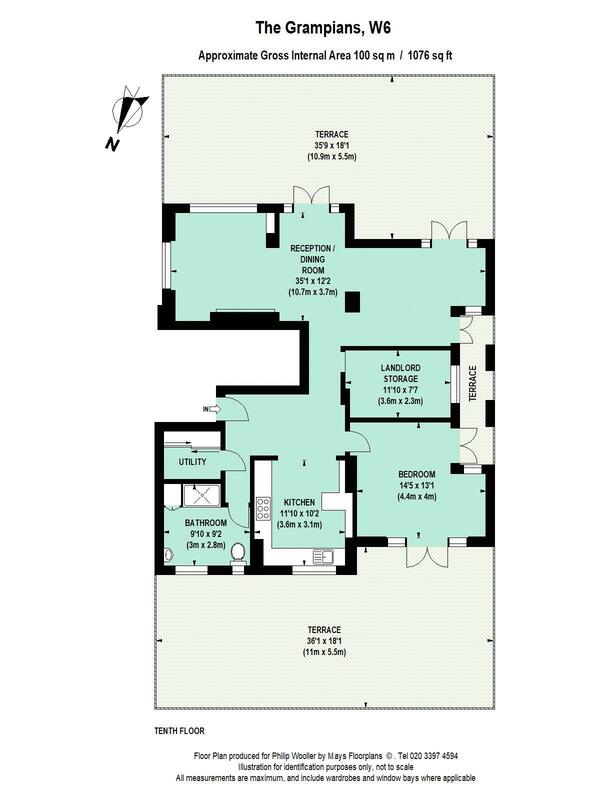 1076 sq ft / 100 sq m approx.